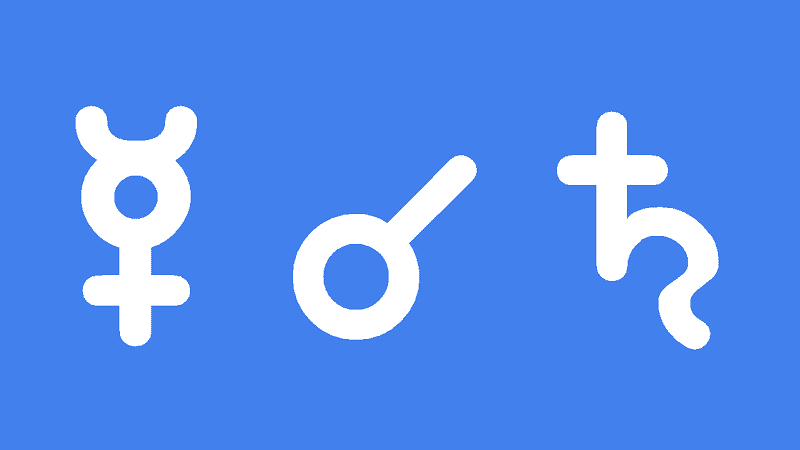 Mercury conjunct Saturn natal gives a well structured and disciplined mind. You love applying yourself to mentally challenging tasks and may in fact need this to keep your mind occupied on productive work. The major difficulty with this aspect is a tendency to get in a rut, dwelling on negatives when your mind is left unchallenged, or idle. If negative thinking does take hold then this becomes the structured and persevering thought pattern. Low moods and depression and then possible. You may also have to deal with self-destructive behaviors such as addiction. Other negative Saturn influences on your thinking can include pessimism and fear. Your words may become abrupt, critical and mean. Relationships would then be difficult to maintain and separations are possible. As an example, country music star Tammy Wynette (Mercury conjunct Saturn 0°35′) sang a lot about loneliness, divorce, and the difficulties of life and relationships. If, however, you occupy your mind with productive and useful work, the positive nature of Saturn will be reinforced. You will then gain a lot of self-respect and esteem by seeing yourself as the responsible one, the master of your field. You may still dwell on serious topics but will be prolific and well-respected, the authority. Your words more supportive and guiding. Saturn commitment and longevity can then apply to your relationships. As an example, take Princess Anne, whose credo is, ‘Keep me busy. I’m here to work. I’m here to do good things. I’m here to meet as many people as possible’. Positive reinforcement is a useful tool to program your thinking. A credo, personal motto or other phrases repeated often will instill the efficient, productive and often brilliant side of this challenging aspect. Mercury conjunct Saturn transit brings critical thinking which needs to be applied to serious or challenging mental work. Without a productive outlook for your intellect, your mind may dwell on negatives and you would find it difficult to get out of such a rut. Such negative thinking can lead to depression and difficulties communication. Harsh or critical words can then lead to relationships problems such as coldness, isolation or rejection. The key to dealing with the heaviness of this transit is positive thinking and applying your brain to important tasks or even routine duties. Keeping yourself busy will counteract the tendency toward melancholy and meanness. This is a good time for things requiring sustained concentration, patience and sound judgement. Business dealings and paperwork are favored. A common sense approach, attention to detail and long-term outlook make this an ideal time for setting long-term plans. Serious discussions about the hardships in life can lead to useful outcomes. For example, speaking out about the underprivileged or abused in society. You may act as a mentor or be sought out for advice, especially by younger people. There is the potential for getting into arguments, especially with authority figures. This can be avoided by earning and showing respect for tradition and ancestors. David Croft 0°07′, Princess Anne 0°09′, James Lovelock 0°26′, John D. Rockefeller 0°28′, Tammy Wynette 0°35′, Andreas Lubitz 0°37′, Georges Simenon 0°51′, Mark Knopfler 0°54′, Bob Geldof 0°55′, Lisa St. Aubin de Teran 0°59′, Edward IV of England 1°01′, Albert Einstein 1°03′, Edgar Cayce 1°05′, Emma Thursby 1°13′, Adelle Davis 1°21′, George III of the UK 1°25′, Vincent Price 1°30′, Malcolm Turnbull 1°48′. This entry called out to me to investigate and read through it. 24 Nov. ’15 started a tough, drudging & uninspiring period at work lasting till mid-December. 23 Nov. this year represents a major turning point for me as mentioned elsewhere, Jamie. Is this from the professional/financial aspect of life? I propose to call it quits at my present work mid- to late-Oct (aspects! ), handing over by end Nov. Could the timing be better for a d.o.b. 19 Dec. ’72, 0240 hours guy? For a time before Novber, I developed a fixation on the 27 Feb. ’17 full moon as The target time to call it a day. Options? There is a solar eclipse on 26 February 2017 a 8 Pisces. Not so good for decision making because it is square your Mercury. But it could represent being forced to make a decision. Umm… 26 Feb.’17 was a strong Intuitive deadline I had from about my solar return ’15 almost till the June ’16s Grand Cross. Depends on how well I can build up that replacement livelihood. Haste is no priority – reputation and track record pays the bills! Some testing times (prob working relationships) are indicated for me mid-Sept & mid-Oct and I reckon could be a viable reason to call it a day at work – can’t be hasty, though. Perhaps a closer date to the financial freedom that you’ve indicated for me come July ’17-April ’18 will give better leverage. Hi Daniel. November 2015 makes sense because you had Saturn conjunct Mercury transit. Not sure of the reasons for your other timings. I’m supposed to travel by air on this day (November 23, 2016) and am concerned about this transit. I can’t really change my travel dates at this point – others are meeting me (we are celebrating my birthday on a boat the following days – 29 November). Do you have any insight on what travel will be like on this day? delays? confusion? lost luggage? What should I be prepared for? I’m a Sagittarius, Sun 7 degrees Sagittarius, Moon 11 degrees Aries, Rising sign 5 degrees Taurus and Mercury 3 degrees in Sagittarius. You guys gave NO information concerning transiting Mercury conjuncting transiting Saturn. You onlyj talking about your own stuff and the February eclipse. what jerks!!! !